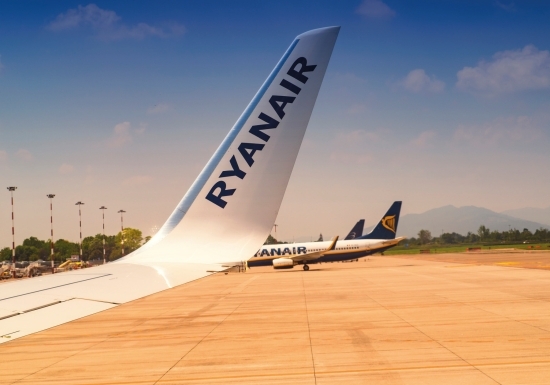 The Irish budget airline Ryanair announced on October 1 that it would be closing its base at Eindhoven airport as of November 5, 2018. The company announced the closure as “temporary” and said that it would only be for the winter months, but there was no word as to when it might reopen next year. The closure announcement came as a part of a larger corporate announcement of reduced profit projections for this fiscal year, from €1.25 – €1.35 billion as previously projected, to €1.10 -€1.20 billion, and the closure of the base at Bremen airport and the reduction in the number of aircraft at the Niederrhein base, both in Germany. The closure at Eindhoven will affect approximately 50 pilots and 150 cabin crew plus their families. Ryanair is expected to offer Eindhoven pilots positions in other out-of-country bases, but with an excess of winter season cabin crew members, the company is exploring leaves of absence without pay and “other options” to minimize job losses among these employees. It is unclear what “other options” may include. The four aircraft currently based at the airport will be moved to other Ryanair bases outside the Netherlands, though the company said that most flights already scheduled would use out-ofcountry aircraft and would not be affected. However, Dutch news outlet NOS reports that the 155 weekly flights currently scheduled will be reduced to 130 when the base closes. The company blames recent “unnecessary” strikes by pilots and cabin crew from the Netherlands, Germany, Spain, Belgium, Portugal and Italy, and the rising cost of fuel, for the reduction in the number of bases and the financial reforecast. True, the company has been hit by several pilot and cabin crew strikes over the past months and years, but the current strikes are only the latest in a long string of labor and operational disputes the airline has had with employees, airports and even the European Union. These disputes, along with its notoriously bad customer service reputation, have earned Ryanair the “least liked” airline distinction according to a top travel review website. The recent strikes commenced on the Friday before the financial announcement and forced the airline to cancel over 250 flights, affecting an estimated 40,000 passengers. The main requests from the striking pilots and crew members are higher wages and basic employee benefits, specifically an end to Ryanair’s practice of making pilots work as independent contractors without the benefits of full-time employees. Furthermore, they want Ryanair to follow the labor laws of the country in which the personnel is based, instead of Ireland’s laws. Ryanair has operated on a model of cutting costs in unconventional and, at times, controversial methods. This has motivated pilots and cabin crew to unionize for better employment and pay conditions. Ryanair’s hardnosed operating culture may have served it well during its growth from a small airline in the late 80s and through the 90s, but as one of Europe’s largest airlines, this approach is costing the company heavily in the eyes of the public, the customers and now the employees. Fortunately, CEO Michael O’Leary’s attitude of not negotiating with unions changed in December of last year after a round of strikes that hit the busy holiday season. Still, disputes continue between the airline and its employees; with Ryanair’s unwillingness to compromise and relent, there does not seem to be an end in sight, at least in the near future. The company’s shoddy business practices, cut-throat negotiating methods with airports and notoriously bad customer service leave few optimistic that Ryanair will change its methods. Even the CEO said he cannot rule out further disruption in the upcoming months, almost predicting his continued reluctance to give in to the demands of the employees and their unions. With this “at any cost” modus operandi, it is remarkable that the timing of the October 1 statement, which included the announcement of the Eindhoven and Bremen base closures, coincided with the strike that German and Dutch pilots participated in just a few days earlier. The timing might be a coincidence, or it might not; either way, it leaves little solace for the Ryanair pilots, cabin crew members and their families, as they head into the holiday season and new year on unpaid leaves of absence.